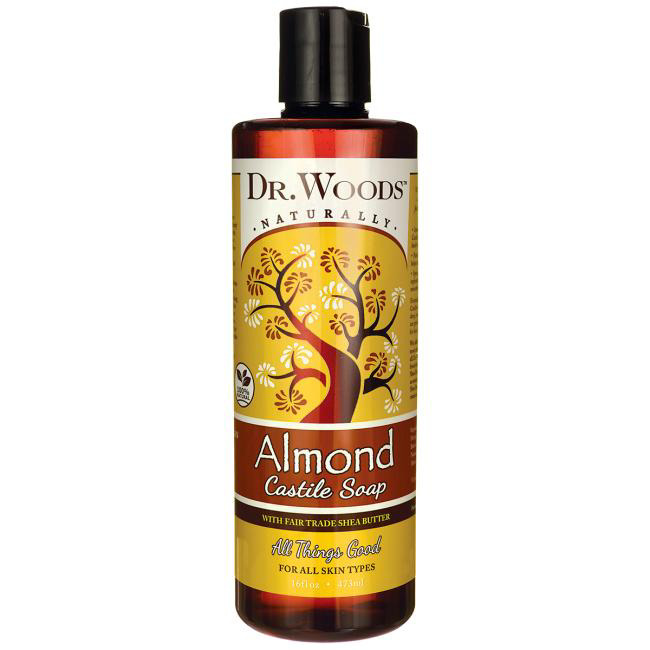 Immerse yourself in the soothing essence of Pure Almond Castile Soap, a moisture-rich, deep-cleaning daily wash from head to toe. Pure Almond Oil elevates the senses, soothes irritated skin and helps maintain your skin’s natural balance for a healthy glow. Specially made with Vitamins A, E and D to nourish and replenish the skin, helping reduce wrinkles and support smoother, healthier, more youthful looking skin. We offer our Fair Trade Organic Shea Butter, one of Nature’s most effective and versatile Health & Beauty resources, across all Dr. Woods Castile and Black Soaps. Sustainably harvested from the nut of the Karite Shea Tree, indigenous to Ghana, our Shea Butter is a bountiful source of Vitamins A and E, as well as essential fatty acids to soothe and balance your skin. We use Shea Butter in its purest form – Raw and Organic – in order to retain its highest level of therapeutic and healing properties. Purified Water (Aqua), Saponified Coconut, Hemp and Olive Oils (with retained Glycerin), Organic Shea Butter (Butyrospermum Parkii)*, Tocopherol (Vitamin E), Natural Almond Fragrance, Sea Salt, Citric Acid, Rosemary (Rosemarinus Officinalis) Extract.